Individuals who work with children’s literature collections, teacher preparation programmes and those who work with library schools will find this a helpful [...] companion. Selected and recommended by specialists in library service to children, listed books within the Children’s Core Collection database encompass a wide variety of topics, including a new abundance of books on technology, social sciences and sciences. 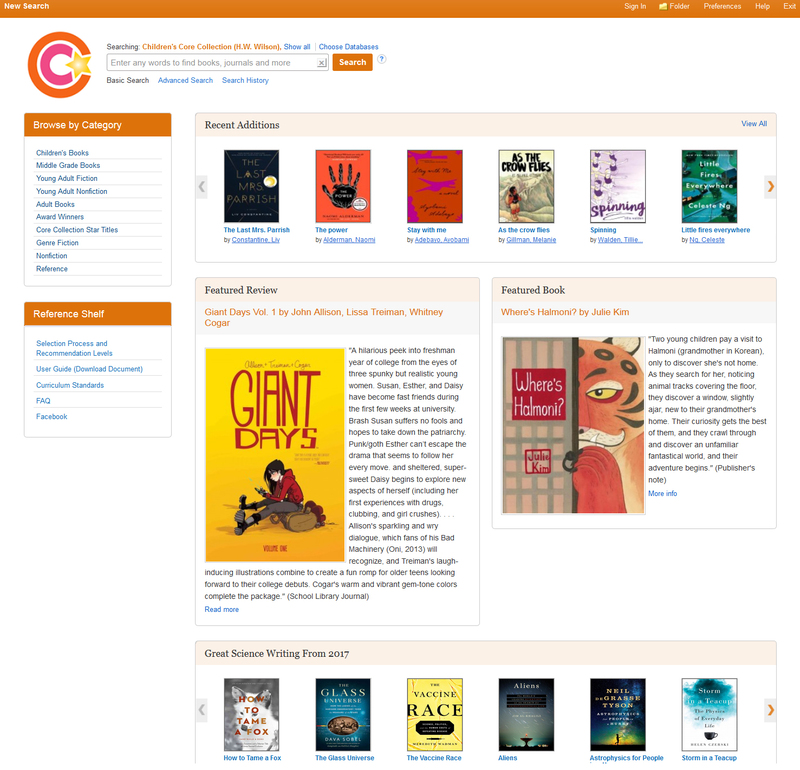 Books are searchable by subject, author, grade level, Dewey Decimal number and more.